New experiences can be scary. 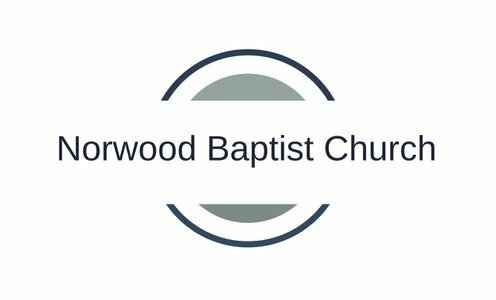 Here at Norwood Baptist Church RI, we want to help eliminate those "first-time jitters" by answering some of your questions up front. We have parking both in the front of the church and a parking lot located in the back of our building. When parking in the front of the church building, please enter the double doors to the left of the church building. (go up the sidewalk nearest the sign) Once inside, a member of The Welcome Team will be located within the doors to help with any questions you may have. If you choose to park in the parking lot, (located behind the church), please enter the building through the door at the top of the stairs. The stairs are to the right of the "kitchen door." A member of the Welcome Team can be located in the entryway to assist you in any way. If you have physical needs, there is a ramp on the side of building with an entryway directly into the sanctuary. Again, a member of The Welcome Team will be available if you need any help. Nice people. We LOVE it when someone comes for the first time. But, we don’t always recognize the first-time guests. So many of the people who come are still relatively new, so feel free to say, “This is my first time,” and we’ll guide you in! A casual atmosphere. We care about YOU, not what you’re wearing, so feel free to come in jeans or whatever is comfortable. Our dress code is simple: wear something. Grab a hot cup of free coffee from our coffee area "Connect" and sit wherever you’d like! We will NOT single you out publicly or ask you to say anything, and we do NOT expect guests to contribute anything financially. A fun, safe environment for kids! Kids love it here at Norwood! They are more than welcome to attend the morning services until "Children's time." After children's time, if your child is six and under, they may attend our child care program. Just accompany your child downstairs, and one of our BCI checked and trained childcare volunteers will sign them in. Babies have their own room connected to our childcare room. Toddlers are engaged in our soft play area while older children are free to play in the larger open play space. Practical teaching. Sermons will connect the Bible to everyday life. Music is lively and uplifting. During worship don’t be surprised when some people raise their hands as a sign of praise while singing, but don’t feel obligated to do so yourself. We create an atmosphere of freedom in our services. People are attending, and even leading Norwood Baptist Church who are not perfect. In fact, perfect people are not allowed. to break free from our past, and to walk in victory together. So tell us about yourself so that we can prepare for your visit.